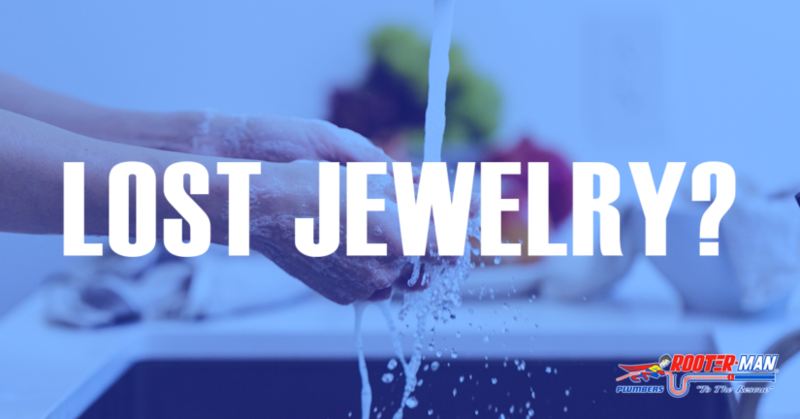 Has a piece of your jewelry ever fallen victim to a drain in your house? Did you think your Grandmother’s diamond earrings were lost forever? Fear no more! We have a quick and easy solution that will help you retrieve your lost valuables. Follow the steps below! If your jewelry is anything but silver, gold, or platinum, you might want to try using a magnet to help fish your jewelry out of the drain. Try a magnet like this that has a hole in the center where you can tie a string. Lower the magnet into the drain and see if you can fish anything out. If you aren’t catching anything, move on to option #2. Note: Make sure you shut off the main water supply to your home before proceeding with this method! The P-Trap is a u-shaped pipe located under your sink. Make sure you have a bucket under your workspace to catch any water or gunk that may come out when taking the pipes apart. Your lost valuables will also be falling out into the bucket. Use a pair of pliers or wrench to loosen the nuts on either end of the pipe. Loosen the pipe by turning the nuts counterclockwise. Once the pipes are apart, water, gunk, AND your jewelry should fall out into the bucket! Sift through the bucket with a pair of gloves to find your jewelry. Replace the P-trap by tightening the nuts. Remember to turn your water supply back on once everything is complete! If you can’t access your P-trap, or need help with retrieving your jewelry, call us today and we can help you out!